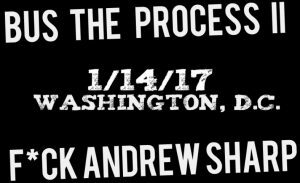 Join Spike Eskin and fellow Rights To Ricky Sanchez Podcast listeners for their 2nd annual Sixers bus trip! The game is in Washington DC at 8:00 PM Saturday January 14th. Last March Phans of Philly helped organize a trip to see the Sixers take on the Nets in Brooklyn. We had over 150 fans attend, and this was on a weeknight. Now we get the chance to make this happen again, but on a Saturday night! Round trip deluxe motor coach bus transportation departing from the South Philadelphia Sports Complex. 2 hour pre-game happy hour in Washington DC with drink and food specials. The whole package is only $85! We also have packages available for Sixers fans already living in the DC area. The cost is $35. This includes your game ticket seated with our group, your commemorative Sixers themed t-shirt, and your floor access following the game. You do not need to be 21+ to attend the bus trip, but you must be 21+ if you plan on consuming alcohol on the trip.